Boykins has been at the forefront of Mars exploration, working on such projects as the Mars Expedition Rovers Opportunity and Spirit and the Ocean Surface Topography Mission. He was responsible for the design, fabrication, and build of the solar arrays that power the Mars Expedition Rovers that continue to send data from Mars, our nearest planetary neighbor. 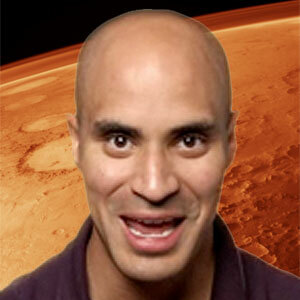 According to the MAC press release, “Boykins puts a fresh face on NASA, Americaâ€™s space program, as an inviting public speaker who recounts the challenges and accomplishments of the Mars Exploration Rovers mission.” His previous speaking experience include â€œMarsapaloozaâ€ (2002) and the JASON Project Expedition â€œMysteries of Earth and Marsâ€ (2006). Boykins currently works on NASAâ€˜s Mars Science Laboratory — a next-generation rover that will assess the planet’s ability to support microbial life. The upcoming mission is scheduled for launch in the fall of this year. Today Is Appreciate a Dragon Day!